Huw Watkins was born in Wales in 1976. He studied piano with Peter Lawson at Chetham’s School of Music and composition with Robin Holloway, Alexander Goehr and Julian Anderson at Cambridge and the Royal College of Music. In 2001 he was awarded the Constant and Kit Lambert Junior Fellowship at the Royal College of Music, he now teaches composition at the Royal Academy of Music. 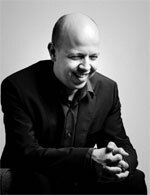 Huw is one of the UK’s foremost composer-pianists, in great demand with orchestras and festivals including the London Sinfonietta, Britten Sinfonia, the BBC orchestras, Aldeburgh and Cheltenham Festivals. Strongly committed to the performance of new music, Huw has given countless premieres of works by composers such as Alexander Goehr, Peter Maxwell Davies, and Mark-Anthony Turnage. Huw has established strong connections with Tamsin Waley-Cohen, Paul Watkins, Mark Padmore and Carolyn Sampson and the Emerson String Quartet. 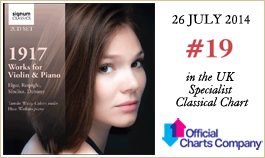 Other UK appearances include performances at Wigmore Hall, as well as in Bath, Birmingham, Cambridge and Saffron Walden. Internationally he has performed in Germany, Austria, France, Hungary, Sweden, Portugal, Italy, the Netherlands, Mexico, Canada and in the USA at Lincoln Centre in New York, the Library of Congress in Washington and at the Great Lakes Chamber Music Festival in Detroit. He is currently composer-in-association with BBC NOW and he won the Chamber Music Society’s 2016 Elise L. Stoeger Prize in recognition of significant contributions to the field of chamber music composition.